At 2271m with a 1127m prominence Pico San Lorenzo is both the highest and most prominent point I have reached under my own steam to date. 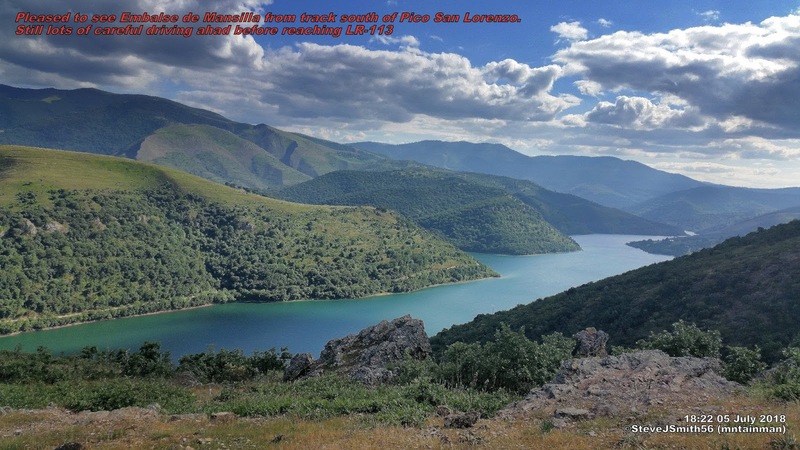 With not managing to fit in Almanzor later this trip Pico San Lorenzo will be the most prominent point reached although will manage to ascend to 2428m on Pico de Peñalara. This being the case I was anticipating an element of adventure. Turns out I was not disappointed. The adventure was first on the journey to the planned start point. The IGN showed the LR-415 then LR-416 all the way from Ezcaray passing Valdezcary ski resort then on to Collado de San Lorenzo. 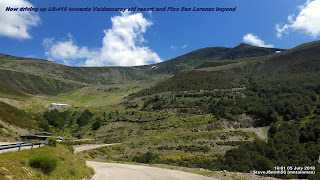 However at Valdezcary the tarmac road ended continuing as a compressed stone track. 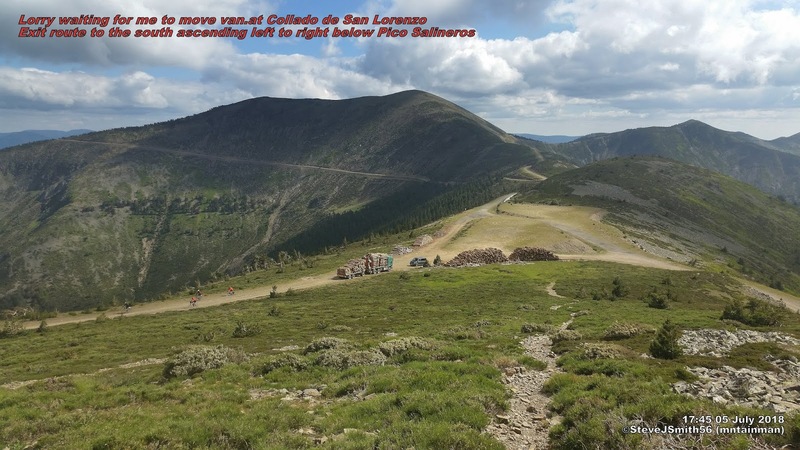 As it turned out the track is suitable for a road vehicle all the way to the Collado and without any signs to the contrary assumed it was permissible for road vehicles. It was not until near the collado that I saw a sign prohibiting vehicular access 'excepto Vehiculos Autorizados'. It was facing the opposite way I had come so I continued to walk start point and parked in an unconspicuous spot behind some stacked logs. This ended up being the second cause for anxiety as on the descent I could see a lorry fully loaded lorry with logs waiting patiently near my van. I rushed the final part of the descent and apologised to the driver for blocking his access, but he did not seem too bothered giving the impression he was happy to wait. south of Pico San Lorenzo. Now comes the final and third cause for anxiety - the descent in the van. Respecting the sign not to go back the way I had come but using it as justification in my mind to continue south in the direction of any campsite near the next planned summits around Sierra de Neila I continued along the track around Pico Salineros rising to just over 200m before commencing the descent to the LR-113 on the north shore of Embalse de Mansilla. The track was heavily rutted in a number of places and it was this part of the journey that made it an adventure in the true sense of the word. I did drive over each one them very carefully and slowly not knowing if the next one would be the one to cause me to abandon the descent and return the much longer way round. 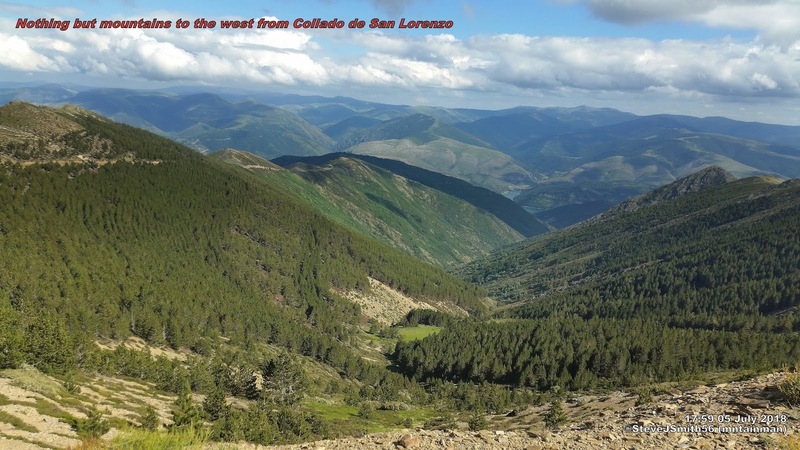 Taking more than 30 minutes to cover the 8km from the Collado de San Lorenzo tp the LR-115 I was most relieved to be back on tarmac albeit in a very dusty van. Otherwise I would be returning the way I had come looking for camping near Ezcaray resulting in not making it to Camping Arlanza ready for next summits of Campiña and Pico de Urbión. If you do not want to drive on the rough roads you can park at Valdezcary ski resort. 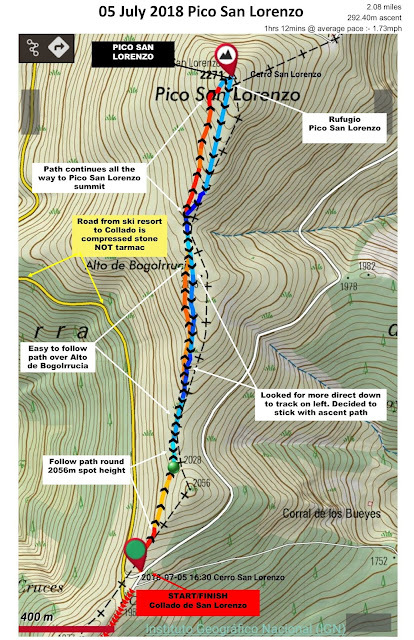 Once again there is not a path marked on the map to the summit, but I can confirm there is a route. Exactly at the same time I approached the summit I saw another hiker approaching from the opposite direction. He was a local called Cesar who spoke very good English explained he had in fact come up via this route.